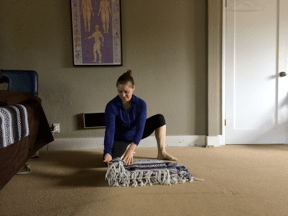 Yoga Couch, Part 2: How to fold a yoga couch in 6 easy steps. 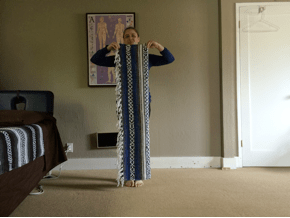 In our brief post from December 2012, The Yoga Couch, we learned that yoga students love the external support the 3-Tier Blanket Fold can provide our spine. 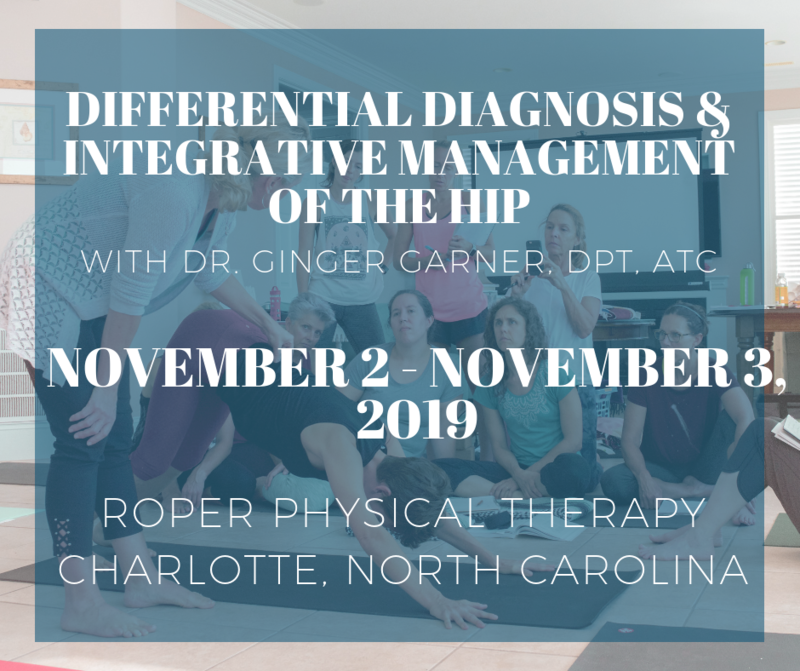 The 3-Tier approach was created by Ginger Garner and is taught in the Medical Therapeutic Yoga (Professional Yoga Therapy Studies) program. It was given the name “Yoga Couch” by Liz’s fantastic practice and her patients. 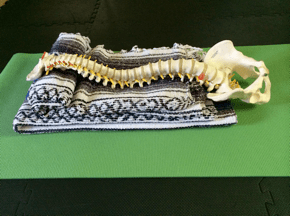 The yoga couch can be used for anyone who needs spinal support or feedback in a pose or cannot lie flat supine (flat on their back) due to allergies, breathing difficulties, pregnancy, nausea, or dizziness. 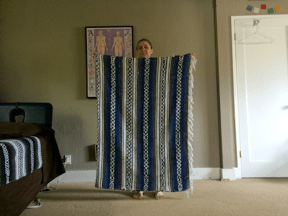 Materials Needed: 2, equally sized, woven blankets. 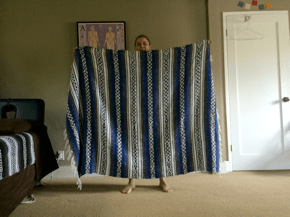 Step One: Hold your blanket out stretched horizontally. Leave a “step” at the open end of the fold. Perform your breathing and yoga exercises on the couch as desired and/or directed by your Professional Yoga Therapist. Block is optional (see previous post). Namaste.